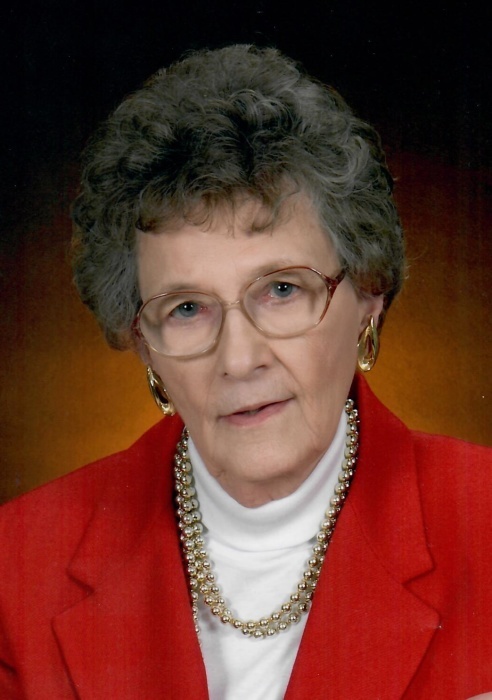 Ruth Anne Miller Brutt, 87, of Hermitage, PA, was born in Brookville, PA, December 26, 1931, to William R. and E. Aldine Miller. She graduated from Brookville High School in 1949 and earned a B.S. in Education from Clarion State Teacher’s College in 1952. On August 4, 1957, she married Frederick Brutt, and continued teaching kindergarten until 1958 when she left the Sharon school system to dedicate herself to her growing family. Active at Christ Lutheran Church, Ruth served as President of the Lutheran Church Women, taught Sunday School, and aided multiple committees. She helped start the local Meals on Wheels in 1970 and coordinated the volunteers until 2013. Ruth also enjoyed sewing, reading, and her family. Ruth passed away peacefully January 27, 2019, in the Sharon Regional Medical Center. She is survived by her children David (Rhonda) Brutt, Mark (Nancy) Brutt, Barbara (Mark) Horstemeyer, and Helen Brutt; 9 grandchildren; 2 great grandchildren; and her sister Jean Oppedal. In addition to her parents, Ruth was preceded in death by her husband and a brother Robert W. Miller. Visitation will be held on Saturday, February 2, 2019 1:00-3:00 PM at the Sample O’Donnell Funeral Home 555 E. State St., Sharon, PA. Funeral services will follow begininng at 3:30 PM at Christ Lutheran Church in Sharon, with Rev. Michael L. Lozano as pastor, officiating. Ruth desired that memorial contributions be made to Christ Lutheran Church or Meals on Wheels both located at 396 Buhl Blvd., Sharon, PA 16146. To sign the guestbook for Ruth’s family, please visit www.sampleodonnellfh.com .